# 130 – A busy week! Monday – Awareness day and fund raising for NEWSAR. Tuesday – Search dog training with SARDA Wales (Search And Rescue Dogs Association). Wednesday – Search training with NEWSAR. Friday – SARDA Wales (northeast dogs) search dog training. 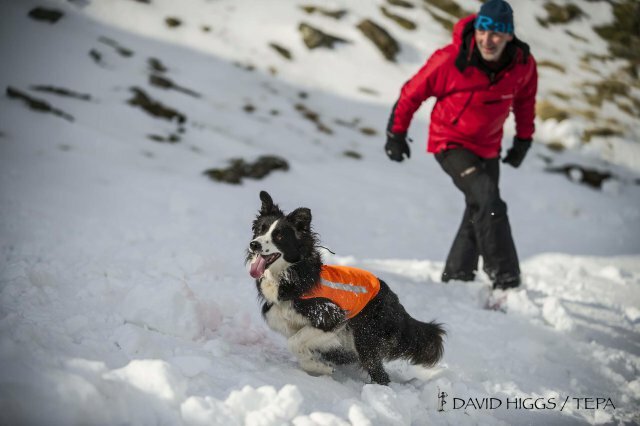 Saturday and Sunday – Search dog training weekend with SARDA Wales. Thursday – SARDA Wales (northeast dogs) training. Friday to Sunday – Search training weekend with NEWSAR. To the above events you can add the search dog training during the week that Chris and I do together, plus the domestic round of doing the shopping and other household chores. The upshot is that I have decided that for the immediate future I will be posting this blog every two weeks instead of weekly. When I started the blog, it was intended go be a weekly record of what I had been doing in the hills, but with stuff piling up something has to give. I’m reluctant to make the change, but I’ve got a lot on with training a search dog, joining a new rescue team and completing a walking guide to Snowdonia. So, please come back next week for what should have been this week’s post. If you don’t want to miss one of these priceless gems, you can sign up for an email notification by clicking the “Sign me up” button on the blog page. Right, I’m off for a lie down in a darkened room ……! This entry was posted in 1. Scotland, 2. Lake District, 3. Yorkshire Dales, 4. Northern England, 5. North Wales, 6. Mid and South Wales, 7. Everywhere Else! and tagged Border Collie, hillwalking, mountains, photography, Snowdonia. Bookmark the permalink. 4 Responses to # 130 – A busy week! Boy, that looks like a busy week, Paul. Running a blog is time consuming, tell me about it! Al least an hour (sometimes two) every day I reckon – reading other blogs, posting comments, thanking the folk who look at mine and thinking about what I want to post next. I struggle too at times – at the moment busy writing a new talk to go round local camera clubs – those things take several times longer than you think. Will look forward to your next post whenever it arrives. Good luck with all the dog training.